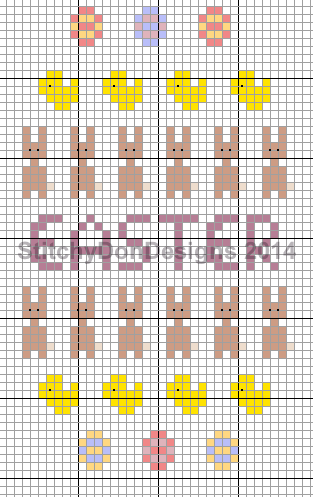 StitchyDonDesigns: Easter Egg Band Sampler Freebie Design!! Feel free to stitch it in any colourway you want. If anybody does stitch it I would love to see a piccy, feel free to link to this design on your blog. All I request is that you credit the design back to me. This is going to be my next handbag project.